The Bakersfield Museum of Art began as the Cunningham Memorial Art Gallery in 1956 with a donation from the Walter Osborn family who desired to establish an art gallery in memory of their daughter Marion Osborn Cunningham (1911-1948). Their considerable donation was amplified by the generosity of caring individuals who provided the building blocks for the gallery to be constructed on city land. The UC Berkeley Art Museum and Pacific Film Archive is the visual arts center of the University of California, Berkeley, the nation's leading public research university. 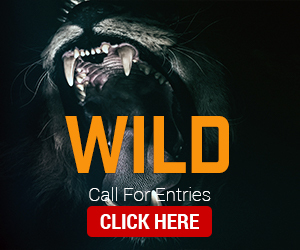 Our mission is to inspire the imagination and ignite critical dialogue through art and film, engaging audiences from the UC Berkeley campus, the Bay Area, and beyond. 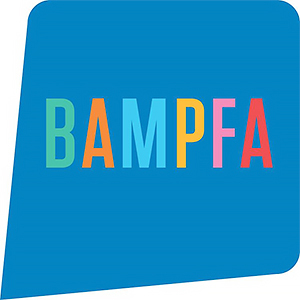 Each year BAMPFA presents more than twenty art exhibitions, 450 film programs, and dozens of performances, as well as lectures, symposia, and tours. The Berkeley Art Museum and Pacific Film Archive’s comprehensive collection- more than 19,000 works of art and 17,500 films and videos - is characterized by artistic excellence and innovation, intellectual exploration, and social commentary. Representing a tremendous diversity of global cultures and historical periods, the collection has particular strengths in Ming and Qing dynasty Chinese painting, Mughal dynasty Indian miniature painting, Baroque painting, old master prints and drawings, early American painting, nineteenth- and early-twentieth-century photography, Conceptual art, and international contemporary art, classic and international cinema, West Coast avant-garde film, international animation, Soviet cinema, early video art, and the largest collection of Japanese films outside of Japan. BAMPFA's Modern collection is built around a remarkable core holding of fifty paintings by the Abstract Expressionist painter and teacher Hans Hofmann and includes significant works by Mark Rothko, Helen Frankenthaler, Ad Reinhardt, Jackson Pollock, David Smith, and Clyfford Still. In 1996 the Museum of Latin America Art (MOLAA) was established in the City of Long Beach by the Robert Gumbiner Foundation (RGF) charged with a mission to build a significant permanent collection of contemporary Latin American art created by those artists who live and work in the Spanish-Portuguese speaking regions of Mexico, Central and South American and the Caribbean. At the time of the museum’s inception, the art collection of the Robert Gumbiner Foundation was the basis of the museum’s effort. Over the past decade and more, the RGF Collection and the MOLAA Permanent Collection have grown to now represent more than over 900 works of art—painting, sculpture, works on paper, photography and video—by more than 350 Latin American artists from the 20 Latin American countries included in the MOLAA mission.  In 2005 the Hammer launched a new initiative to build a collection of contemporary art. This growing collection is led by works on paper, particularly drawings and photographs, but also includes painting, sculpture, and media arts. The focus of the collection is on art created in the last ten years. Particular attention is paid to works by artists from Southern California, but the collection also represents artists working throughout the United States and internationally. When possible, artists are represented in depth, and works are acquired in tandem with exhibitions at the Hammer, particularly from the Hammer Projects series. The Institute of Contemporary Art, Los Angeles (ICA LA) is a new museum located in Downtown Los Angeles. The ICA LA's revelatory exhibitions of works by international artists, dynamic public programs, and inclusive community partnerships reflect the diversity of Los Angeles and the world, fostering critique of the familiar and empathy with the different. Designed by the interdisciplinary practice wHY under the leadership of Kulapat Yantrasast, the museum's 12,700 square-foot facility features 7,500-square-feet of exhibition space, as well as areas for public programs, offices, and special projects. ICA LA's mission is to support art that sparks the pleasure of discovery and challenges the way we see and experience the world, ourselves, and each other. Founded in 1984 as the Santa Monica Museum of Art (SMMoA), ICA LA builds upon a distinguished history of fostering artistic experimentation with bold curatorial choices, and connecting with various communities via timely, meaningful, and engaging public programs. 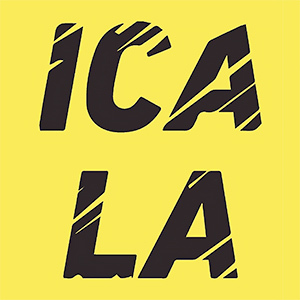 ICA LA is committed to making contemporary art relevant and accessible for all. Admission is free. The J. Paul Getty Museum at the Getty Center in Los Angeles houses European paintings, drawings, sculpture, illuminated manuscripts, decorative arts, and European and American photographs. Jack Iwata Collection: The online collection of photographer Jack Iwata includes 166 photographs and copy negatives taken at Manzanar and Tule Lake concentration camps between 1942 and 1945. Toyo Miyatake Studio / Rafu Shimpo Collection: This online collection is a selection from over 9,500 negatives and photographs taken by the photographers of the Toyo Miyatake Studio for the Los Angeles-based Rafu Shimpo, one of the oldest and most widely read Japanese American newspapers in the country, documents Los Angeles' Japanese American community from 1950 to 1988. The Wallis Annenberg Photography Department has holdings of more than fifteen thousand works that span the period from the medium's invention in 1839 to the present. In addition to gelatin-silver prints and chromogenic-development prints, the collection includes examples of nineteenth-century cased images; twentieth-century experimental processes; contemporary color images; and images that are created, manipulated, and/or printed digitally. Most recently, over 3,500 works from the Marjorie and Leonard Vernon collection were added to the museum’s holdings. 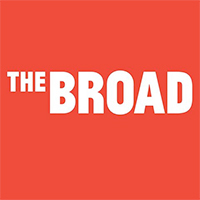 The Broad is a new contemporary art museum built by philanthropists Eli and Edythe Broad on Grand Avenue in downtown Los Angeles. The museum, which is designed by Diller Scofidio + Renfro in collaboration with Gensler, will open September 20, 2015 with free general admission. The museum will be home to the nearly 2,000 works of art in the Broad collection, which is among the most prominent holdings of postwar and contemporary art worldwide. With its innovative “veil-and-vault” concept, the 120,000-square-foot, $140-million building will feature two floors of gallery space to showcase The Broad’s comprehensive collection and will be the headquarters of The Broad Art Foundation’s worldwide lending library. Founded in 1979, MOCA is the only museum in Los Angeles devoted exclusively to contemporary art. The Ralph M. Parsons Foundation Photography Collection : This esteemed collection traces the development of postwar American documentary photography from the 1940s through the 1980s. It encompasses bodies of work by Diane Arbus, Brassaï, Robert Frank, Lee Friedlander, Helen Levitt, Danny Lyon, Roger Mertin, John Pfahl, and Garry Winogrand. Most of the individual series in the collection follow the editing and sequencing the artists chose for publication. The distinguished photography holdings of the Monterey Museum of Art span the history of this medium. The 19th century collection includes the works of Carleton Watkins and William Henry Jackson; Anne Brigman and Johan Hagemeyer represent the early-twentieth century Pictorialist tradition. As befitting an institution situated on the scenic California Central Coast—the cradle of modern American photography—the collection emphasizes the works of the influential f/64 group and subsequent generations of photographers who followed their path. 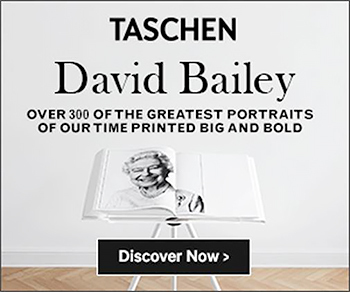 Most notably, featured photographs include Edward and Brett Weston, Ansel Adams and Imogen Cunningham as well as Wynn Bullock and Henry Gilpin. The broader, national photographic tradition is represented by the works of Charles Sheeler, Aaron Siskind, Irving Penn, Sally Mann and Gary Winograd, among others.The Museum has also begun expanding its photography holdings into the 21st century with the works of contemporary artists such as Angela Strassheim and Chris McCaw. The Art Department continues to acquire major photographic collections. In 1998 the Museum received the archive of Berkeley photographer Helen Nestor. Containing more than 2,000 prints and 20,000 negatives, the collection highlights Northern California’s counterculture of the 1960s and '70s. Nestor’s photographs of the Free Speech Movement at U.C. Berkeley are among the most familiar images of that turbulent era. Joanne Leonard, Nestor’s close friend, has donated an archive of 2,000 negatives and 500 prints documenting her West Oakland neighborhood in the 1960s. She used her camera to capture the grit and grace of everyday life in one of California’s oldest African American neighborhoods. Leonard made the gift in honor of the late Oakland Museum of California curator of photography Therese Heyman. 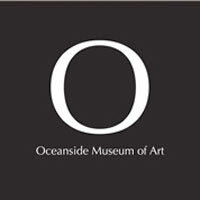 The mission of the Oceanside Museum of Art (OMA) is to educate and inspire the public through a diverse range of engaging exhibitions and programs that connect people with regional, as well as national and global artists and artforms of the 20th and 21st centuries. OMA operates as a private, non-profit 501 (c) (3) corporation and was originally founded by a core group of citizens who seized upon the vision of a museum and overcame all obstacles and skepticism to bring that vision to fruition after almost eight years of planning. OMA began providing exhibitions and public programs in 1995. With the support of the Oceanside City Council and City staff, the lease for the renowned Irving Gill Building, the historic site of the Oceanside City Hall, was approved and a home for the museum was established. Following a renovation to the interior of the Gill Building, OMA formally opened its doors on October 6, 1997, with a grand opening and OMA dedication. In 2008, OMA completed a contemporary, three-level 15,000 square foot expansion, designed by noted architect Fredrick Fisher. The new building was melded seamlessly with the original 5,000 square-foot Irving Gill modernist building. The Palm Springs Art Museum has always been interested in collecting and preserving fine art photography, supported by several important photographic archives. Until recently, the museum’s photography collection was concentrated largely in two areas: celebrity photographs from early eras in Palm Springs and Hollywood and desert photography, featuring the archival holdings of landscape photographer Stephen Willard. Additional holdings focused on contemporary artists, with an emphasis on California. In addition to the major traveling photography exhibitions that will be showcased at the museum on an ongoing basis, photography is integrated into the museum’s permanent collection and thematic exhibitions drawn from the museum’s permanent holdings will be regularly presented. The museum seeks to be a nationally recognized repository for the stewardship of photography holdings. The photography collection boasts stellar works by Modernist photographers, including Edward Weston, Frederick Sommer, Minor White and Manuel Alvarez Bravo. It is also home to the work of major American photographers who began their careers in the 1960s and 1970s, including Judy Dater, Lewis Baltz and Anthony Hernandez. Contemporary works are particularly strong with examples of the experimental photography of Robert Heinecken, Robbert Flick, Edmund Teske and Todd Walker, all of whom embraced mixed media, multiple exposure and solarization. In its diversity, UCR/CMP's collection is the largest, most comprehensive photographic center in the West. This resource is utilized as five inter-linked sub collections: the Bingham Technology Collection, the Keystone-Mast Collection, the University Print Collection, the UCR/CMP Study Center Library Collection, and the Digital Virtual Collection. The museum's collection provides a foundation for exhibitions and programs examining broad associations between photographic works, the instruments of photography, and society's evolving relationship with the photograph. The collection surveys the history of the medium, from the daguerreotype to recent digital innovations, and embraces a wide range of subjects and artists. Represented alongside international figures such as David Octavius Hill, Robert Adamson, Francis Frith, and André Kertész are seminal figures in American photography, including Harry Callahan, Imogen Cunningham, and Minor White. A major gift of Marion Post Wolcott's prints enhances the Museum's holdings of the Farm Security Administration photographers, including Dorothea Lange, Walker Evans, and Wright Morris. Newer acquisitions include works by Chris McCaw, Tracey Snelling, Daniel Kasser, and Lewis deSoto. The Western landscape and environment captured by 19th- and 20th-century photographers is represented by the work of Carleton E. Watkins, Ansel Adams, Edward Weston, Richard Misrach, Robert Adams, and Lewis Baltz, among others. With two locations, the Museum of Contemporary Art San Diego (MCASD) is the region’s foremost forum devoted to the exploration and presentation of the art of our time, presenting works across all media created since 1950. Located in the heart of downtown San Diego and in the coastal community of La Jolla, MCASD provides an unprecedented variety of exhibition spaces and experiences for the community, showcasing an internationally recognized collection and a dynamic schedule of exhibitions and public programs. At MCASD in Downtown, experience contemporary art in a historic setting - the Jacobs Building, formerly the Santa Fe Depot baggage building - and view site-specific installations by artists Jenny Holzer and Richard Serra. At MCASD in La Jolla, take in the fabulous ocean view from the Edwards Garden Gallery, or lunch on the patio at the Museum Cafe. 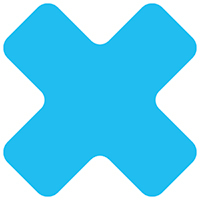 The La Jolla location also houses the Museum’s X Store, filled with a selection of contemporary art books, apparel, and innovative design objects. The Museum’s permanent collection offers a rich photographic heritage, both as an expressive medium and a documentary record. The collection’s 7,000 images include works by Margaret Bourke-White, Alfred Stieglitz, and Ruth Bernhard among 850 other photographers, and a wealth of representative examples of different photographic styles, genres and techniques, from early 19th century daguerreotypes and albumen prints to pictorialism, cutting-edge documentary and photojournalism, and digitally constructed imagery. While the entire collection illustrates the complex and varied history of the medium, in terms of subject matter and genres, MOPA's collection is particularly strong in mid-twentieth century Soviet Russian photography, and social documentary photography and photojournalism. After a long hiatus, The San Diego Museum of Art has begun actively collecting photography. The Museum continues to build a collection that is particularly strong in the work of photographers and photojournalists of the mid-twentieth century including Margaret Bourke-White, Henri Cartier-Bresson, Alfred Eisenstaedt, Gjon Mili. Other large groups include a series of the environmental portraits of artists and politicians by Arnold Newman, as well as a group of works by San Diego-based photographers ranging from Roland Schneider and Florence Kemmler in the 1920s and 1930s to the contemporary artist Eleanor Antin. An additional group of photographs represents the work of Hugo Brehme and others active in documenting Mexican life and landscapes in the nineteenth and early twentieth century. The CHS Collection comprises a diverse body of materials documenting the history of California, including 500,000 photographs; with Nearly 23,000 photographs from the Title Insurance and Trust Company (TICOR) and the Los Angeles Area Chamber of Commerce (LAACC), along with the records of LAACC, managed for CHS by the Regional History Center at the University of Southern California, documenting the development and promotion of the Los Angeles region. Since its founding in 1984, the Contemporary Jewish Museum (CJM) has distinguished itself as a welcoming place where visitors can connect with one another through dialogue and shared experiences with the arts. Ever changing, the CJM is a non-collecting institution that partners with national and international cultural institutions to present exhibitions that are both timely and relevant and represent the highest level of artistic achievement and scholarship. The photography collection of the Fine Arts Museums of San Francisco spans the entire history of the medium, with particular strength in nineteenth-century American and European photography. The de Young Museum accepted photographs into its collection during its earliest years, starting with documentary scenes of the California Midwinter International Exposition of 1894. The collection also includes large concentrations of historical California photographs, with many views of the Bay Area as well as a significant holding of daguerreotype portraits. 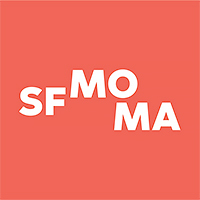 One of the first museums to recognize photography as a legitimate art form, SFMOMA has been collecting and exhibiting photographs since 1935. Tracing the development of the medium from its invention in the 1830s to the present day, our photography collection comprises more than 14,000 pictures and is particularly well regarded for its concentrations of photographs related to California and the West, the European Avant-Garde, and American Modernism. Other areas of strength include Japanese photography, landscape photography, and a growing 19th-century collection. Dedicated to the examination of visual culture in all its forms, the department is notable for its active interest in collecting and exhibiting vernacular photography — anonymous snapshots, documentary evidence, and other photographic images never intended to be viewed as art. In addition to our full program of special exhibitions, we organize Picturing Modernity: Selections from the SFMOMA Collection, an ongoing presentation that reveals the medium's transformation from a scientific invention into one of the most prevalent art forms of the modern era. The Legion of Honor also amassed historical photographs prior to merging with the de Young Museum. The Legion’s most important acquisition was its purchase in 1943 of negatives and prints by Arnold Genthe representing San Francisco in the immediate aftermath of the earthquake of 1906. 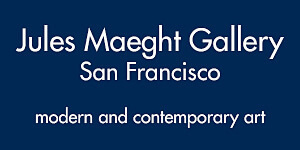 After the two institutions were combined to form the Fine Arts Museums of San Francisco in 1972, the photography holdings were united at the Legion of Honor within the Museums’ department of works on paper, the Achenbach Foundation for Graphic Arts. Among the photographers represented in depth are Eadweard Muybridge, Imogen Cunningham, Arthur Siegel, John Gutmann, David Seymour (Chim), Bill Owens and Ed Ruscha. The San Jose Museum of Art has a permanent collection of approximately 2,000 20th– and 21st–century artworks including paintings, sculpture, installation, new media, photography, drawings, prints, and artist books. The collection continues to evolve as a set of works reflecting important movements in recent art history, the accomplishments of emerging West Coast artists, acquisitions from our special exhibitions, and other significant works. Visitors can view works from the collection in the Museum’s galleries, and often our curators create special exhibitions from the collection that explore particular themes or present interesting juxtapositions of works and artists. You can use this website to see some of the collection’s highlights and recent acquisitions. The Permanent Collection of the San Luis Obispo Museum of Art was officially established in 1998, following an exhibit of its holdings organized by Arne Nybak and a group of dedicated members. The Board of Directors, upon seeing the artwork and the enthusiastic response by its viewers, realized the collection’s legacy and unanimously endorsed its preservation and expansion. No one worked harder or put his personal fortune into this collection more than Arne Nybak, the San Luis Obispo Art Center’s volunteer curator for 32 years, until his death in 1999. Mr. Nybak bought work by artists he considered important, some were bequeathed at an artist’s death, and often he asked artists to donate significant examples of their work. Those approaches to collection development continue today. 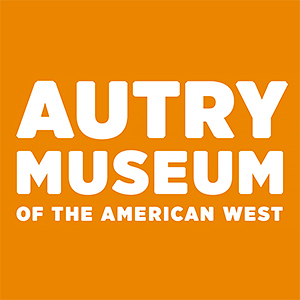 The collecting mission of the San Luis Obispo Museum of Art ensures the protection, conservation, preservation, and interpretation of works of art significant to the Central Coast and all of California as a sacred trust. Moreover, the Permanent Collection aims to define the role of artists important to the County and region with equal emphasis given to contemporary and historical art. The photography collection at the Santa Barbara Museum of Art originated in the exhibition Attitudes: Photography in the 1970s, organized by Fred Parker, the first part-time curator of photographs at the Museum. This groundbreaking exhibition featured works by many up-and-coming photographers who are now nationally recognized. A significant number of these photographs were acquired by the Museum and formed the basis of the collection. Major gifts in 1983 and 1985 from Arthur and Yolanda Steinman provided an important historical core of vintage and modernist works around which the collection continues to grow. Areas of particular strength and focus include: works by California photographers from 1860 on, contemporary photographers from Western Pacific Rim countries (Korea, China, Japan, Vietnam), artists exploring issues of science and science-based art, and selected examples by acknowledged master photographers. 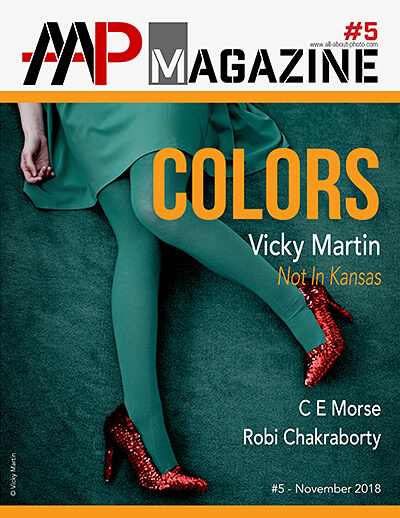 Other areas of emphasis include photographers with ties to Santa Barbara and works with synergistic relationships to other Museum collection areas, for example vintage prints of nineteenth-century France and images of modern Latin America. The de Saisset Museum's photography collection is particularly rich in work by 20th-century West Coast photographers. A notable component of the de Saisset's photographic holdings is the Helen Johnston Collection. Johnston was the founder of San Francisco's Focus Gallery, which exhibited work by pioneering contemporary photographers from 1966-1985. The de Saisset's collection includes work by photographers such as Ansel Adams, Ruth Bernhard, Wynn Bullock, Lisette Model, Edward Steichen, Weegee, Brett Weston, and Edward Weston. In addition to original photographic prints, the Museum holds sets of study prints from the Library of Congress of works by Dorothea Lange, Russell Lee, and Jacob Riis. The Cantor Arts Center collects, interprets, and exhibits works on paper made from the late 15th century to the present. The collection consists of approximately 6,000 prints, 2,000 drawings and watercolors, 4,700 photographs, and more than 200 illustrated books. The Center aspires to demonstrate the development of the graphic arts as fully as possible; it allocates particular attention to significant individual artists, movements, and themes, and to the development of media and techniques. The photography collection offers examples of cliché-verre by Jean-Baptiste-Camille Corot, early photographs by Julia Margaret Cameron, and cyanotypes by Anna Atkins and Henry Peter Bosse. The nearly 450 works by Eadweard Muybridge, who worked for Leland Stanford, are of great art historical and institutional significance. More than 160 photographs by Robert Frank enhance the 20th century holdings. The Museum encourages all people to develop and increase their understanding and appreciation for modern and contemporary artwork via a variety of exhibitions offered in its two gallery spaces, as well as educational programs, artist talks, lectures, and symposia. 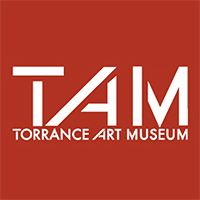 Through its emphasis on contemporary artistic expression in Southern California and globally, the Torrance Art Museum brings together visual artists and community members; fosters personal and civic well being by inspiring understanding and appreciation of the visual arts; promotes meaningful experiences in the arts to strengthen creative and critical thinking skills; and builds bridges between the visual arts and other disciplines in the humanities and sciences.